Located in the northeast corner of California, Lassen Volcanic National Park is one of our state’s best kept secrets. As one of the least visited national parks in our country, Lassen is home to a variety of mixed conifer forests, red fir forests, and subalpine areas. The park boasts all four types of volcanoes including shield, composite, cinder cone, and plug dome. Additionally, the area serves as a home to over 300 species of animals. The rich human and natural history of the area are just a few of the things that can be explored on a trip to Lassen Volcanic National Park. 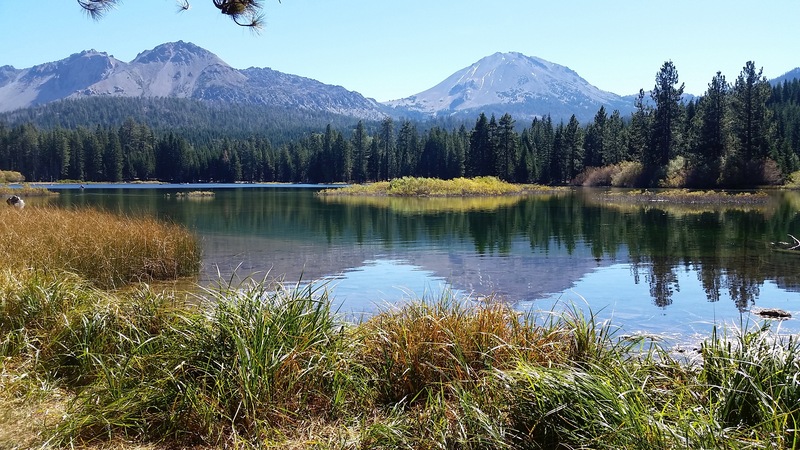 At Lassen National Park, your school will be housed in the cabins on Manzanita Lake. Due to the vastness of the park, we recommend shuttle vehicles to transport students to the various trail heads and points of interest throughout the area. Naturalists at Large will set up an outdoor kitchen and serve all meals buffet style in camp. For about three million years, the volcano has been active; today, steam vents, boiling springs and bubbling mud pots still remain active. Throughout the park, the geologic history can be explored. Human history themes can include the Native American groups that inhabited the area, the era of the California Gold Rush of the 1840s, and the life of Peter Lassen, a blacksmith who settled 22,000 acres of land in the area. While exploring the various trails that are offered throughout the park, our naturalists can focus on the plant and animal communities that are offered. All of your educational goals can be custom designed by your team of teachers prior to the start of your program.